Nine years ago, I got a flu that I couldn’t shake. Months went by and I wasn’t getting any better. I had a persistent fever, cough, and aching body. Visit after visit to the doctor, I was finally tested for HIV. When the doctor spoke with me about the results, I remember he started by telling me everything was fine, that my T cell count was up, that my viral load was way down, and that for the most part I was healthy, except…. I was HIV+. I immediately felt a shroud of fear, abandonment, and disbelief come over me. The doctor left my exam room for just a moment and immediately I began to think about the end of my life. I felt so alone. There is so much stigma associated with being HIV+; so much to think about when dating or creating friendships. I’m cautious about whom I reveal my status to, but I reveal it often to help people see that mine too is the face of someone with HIV. I use it as an opportunity to educate folks, to help remove some of the stigma. I joined the Women Rising Project at AIDS Services of Austin so that I could learn from the experiences that other women with HIV and AIDS face. I joined the Women Rising Project because I needed a fellowship of people who empower, encourage, and educate me. I needed a group of people to build me up and support me in reaching my goals. When I first found out that I was positive, I felt so demoralized. But with my faith and with the Women Rising Project, I have transformed. Now I want to be a motivational speaker, and help young women and girls avoid the challenges I have faced in my life. I am so overwhelmingly willing to talk about my story, to absorb as much information as I can to maintain my health, and to reach out to others to encourage and empower them. I think my story is a story of success. allgo’s story is about the numerous clients who come to allgo for information and referrals for HIV testing. This is a vital resource for their health and wellness. They often say that many places will only allow them to take a couple of condoms at a time, and that because they are able to get the amount of supplies they need from allgo, this contributes to their ability to take care of themselves. They also say how they feel very comfortable coming to allgo where they don’t feel scrutinized, questioned, or interrogated for trying to protect themselves. Your commitment and dedication to the Hill Country Ride for AIDS helps us provide this safe space for some of the most marginalized people living in Austin at high risk of contracting HIV. Jeff was a resident at Doug’s House for four separate occasions over a seven-year period. During that time, Jeff established himself as an integral part of the story of Doug’s House. Each time he came to Doug’s House he had experienced a significant decline, resulting in him no longer being able to live independently. At Doug’s House, Jeff was able to receive the critical services he needed, such as a safe place to stay and access to meals and medications. When asked how he felt about coming back to Doug’s House most recently, Jeff stated, “I feel like I’m coming home.” Jeff recently died peacefully at Doug’s House. Jeff’s mom stated about the staff at Doug’s House: “They are the most loving, caring, professional group of people. I don’t know how we could have done it without them.” Jeff was always so grateful for the support he received at Doug’s House. If he were alive today, he would want to say “Thank You” to all of the supporters of the Hill Country Ride for AIDS. Your support helps to continue the great work of Project Transitions. It took me almost a year after I found out I have HIV to even tell anyone. I was only 24 at the time, and I thought my life was over. I wanted to talk to someone, but I just couldn’t deal with it. I wouldn’t even see a doctor because I thought that getting on meds would mean I was dying. I lost a lot of sleep, until I called Waterloo Counseling Center. At first, I just couldn’t talk about my HIV, even to my counselor. But he waited me out. He sure was patient! I finally opened up, and that’s when everything changed. My counselor helped me focus on “living with HIV” instead of “dying of HIV.” I felt like a burden had been lifted. I even worked up the courage to find a doctor and get on medication for my HIV. I was really surprised to notice that for the first time in a long time, I felt optimistic about taking care of myself. I know now that I have a future, and I’d better start planning for it! So I enrolled in college and am looking forward to what life brings. I can’t thank my Waterloo counselor enough. 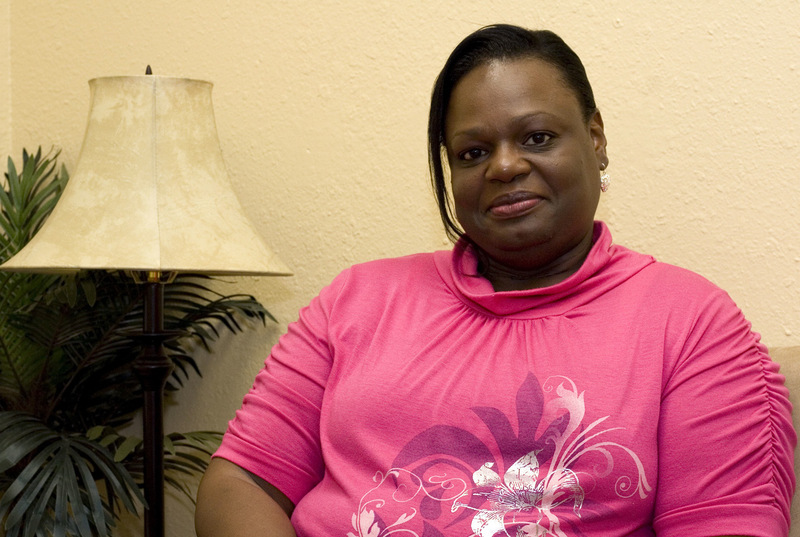 My name is Annette Y. K. and I recently began receiving services from The Wright House Wellness Center. In a nutshell THE WRIGHT HOUSE lS CHANGING MY LIFE! I have drudged through 15 long years of medical negativity, mental anguish, and no help for my daughter’s stress level and emotions. The Wright House has addressed all of these issues and many more without once making me feel uncomfortable, out-of-place, judged, or a burden. The Wright House helped me see I was not alone. And my beautiful 15 year old daughter, Jessica, is able to release years of pent up anger, hurt, rejection, and pain for the first time in her life. To see her smile again, to hear her sing again, and to see the spark coming back in her eyes; these are things I was afraid I would never see again in Jessica. The Wright House is a safe place for her to talk with people who understand. That alone takes an unbelievable amount of weight off my shoulders and my heart. Once I opened the door at The Wright House I felt like the most important person in the world. A peace came over me that I had not felt in years. I was greeted with smiles and handshakes by everyone I encountered. The staff was so kind and gentle. I was touched by their unconditional care. And when leaving I was given a hug or two. That’s very rare in my life.